We offer the most competitive pricing on Car Windshields in the industry and pride ourselves in the highest quality Auto Glass products and service anywhere. 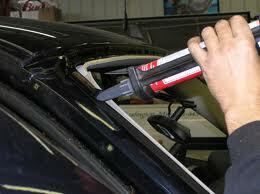 Since 1997 we have been offering our customers reliable Mobile Auto Glass service to Western New York. When it’s time for you to get back on the road call to make a appointment. Use the experts that Insurance companies, mechanics and car dealers use. A.R.C. 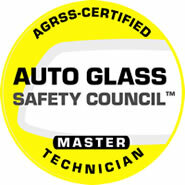 Auto Glass specializes in Car Window Repair for all makes and models. 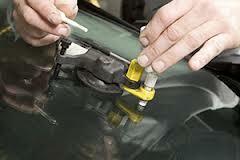 If your Car Window is broken or off track we can repair it for you. 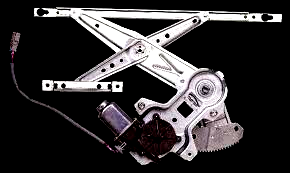 We have access to all Door Glasses and Door Regulators for late models and most earlier vehicles. All Car Windshield Replacements are done with the best aftermarket parts available and OEM parts on request. Every installation comes with a Lifetime warranty on Workmanship and Labor. Windshield Chip Repair, if the crack is smaller than a dollar bill or if the chip or crack is not in the drivers line of vision, then you can pursue windshield repair instead of a glass replacement.Car glass repair is a great alternative to a complete replacement. However its important to know whether you need a windshield repair or not. Only a competent technician will be able to tell you the difference. A qualified, trained technician can tell if the chip is an appropriate size for a repair and that distortion will not result after the repair. You will always find courteous and helpful information to make your experience here great. As a result a high percentage of our work is from repeat customers. Give us a call we look forward to serving you. Have you recently placed a Auto Glass Insurance claim for a Windshield Replacement and had a Glass shop come out to you only to say that they could not perform the work because of rust damage? Well worry no longer about what to do. Here at ARC Auto Glass we come right to you and repair the damage On Site. All repairs made to your Car can be done in very little time. Rust repairs are allowable up to 25% of the Windshield perimeter before it will have to go to a Collision shop. This option can save you alot of time and money. If this is happening to you give us a call to pursue this great alternative. When submitting a claim to Webesto for a sunroof replacement please allow 2 weeks before part arrives for installation. ©2013 Arc Auto Glass. Auto Glass in Buffalo. All Rights Reserved. For those who are in need of windshield repair in Buffalo NY, you can rest assured that we will work diligently to handle your needs quickly and efficiently. As you search for auto glass in Buffalo, look no further than the extensive line of products we have to offer you. We work hard to help provide you with the products you need at a price you can afford. For those who need RV windshield replacement in Buffalo NY, give us a call to see what we can do for you and your vehicle today.